Home is the story of who we are and a collection of all the things we love. 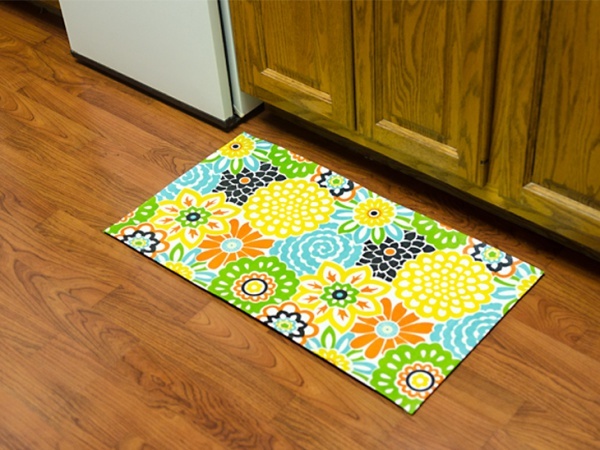 And while we talk about Home Décor, mats are the most basic essential to decorate your home. Talking about mats, how can we leave fabric mats far behind? 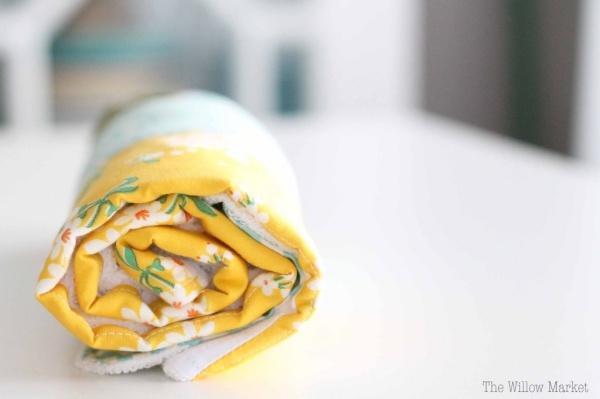 and the important question is how to make fabric mats? Fabric mats are generally designed or decorated cloth piece that might be used as a floor mat, picture frame, or any other flat surface. 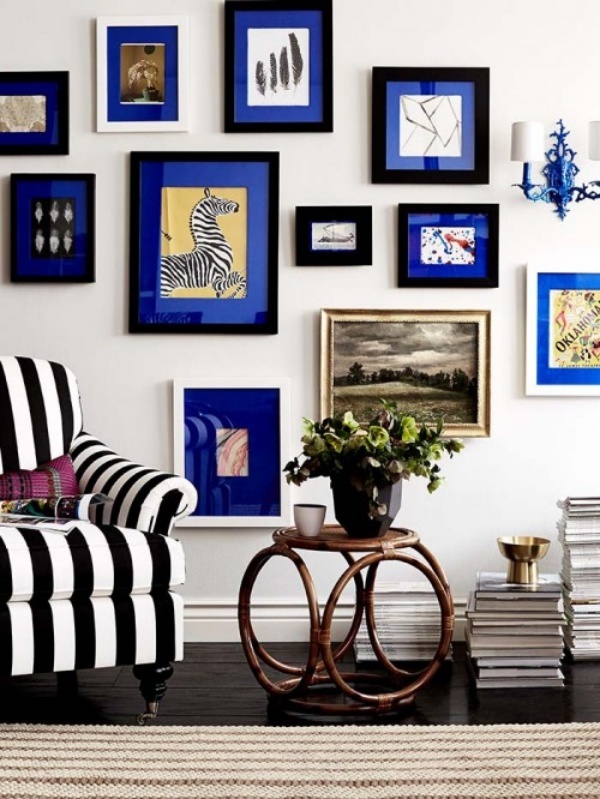 They are stylish and trendy that adds an edge to the interiors of the home. Today, with so many new things available in the market, you can just get lost selecting a mat for your beautiful home. But, what if today, we ask you to ditch those ready-made mats, because what is better than having a customized mat, which is made completely by you, yourself! 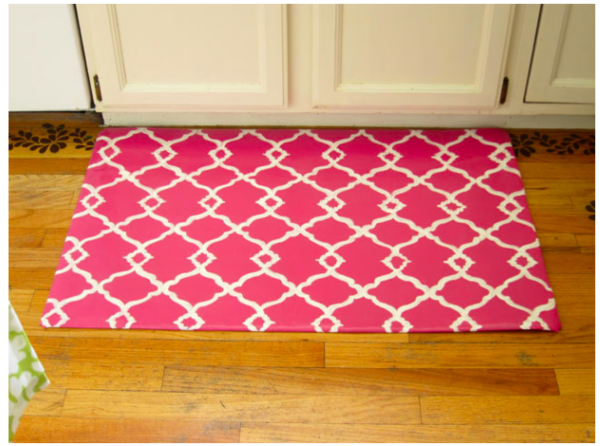 Looking for some great ideas on How To Make Fabric Mats To Enlighten Your Home for starters, then get ready for it my friends. For these inspirations of making Fabric Mats To Enlighten Your Home all you will be needing are scrap pieces of vinyl flooring, some white cotton duck cloth, gesso, paint brushes of various sizes, acrylic paints in the shade of pink and white, soft lead pencil, tracing paper, spray glue, duct tape, scissors. Cut the vinyl piece and fabric in such a way that it is 4 inches larger on all sides of the vinyl. Paint the fabric and let it dry. Trace out the design in the fabric and fill in with white paint. If you have extra fabric you can also try easy and attractive flower pattern. More of a fabricated floor cloth this is. For this inspiration to work out, all you need to get that is some glue spray, drop cloth, and 2 yards of fabric, seam gauge, and a sewing machine. Get your hands on some fabric, a rubber floor mat, an adhesive spray, water-based polyurethane, paintbrush and scissors. Cut your rubber mat in a size that you wish. 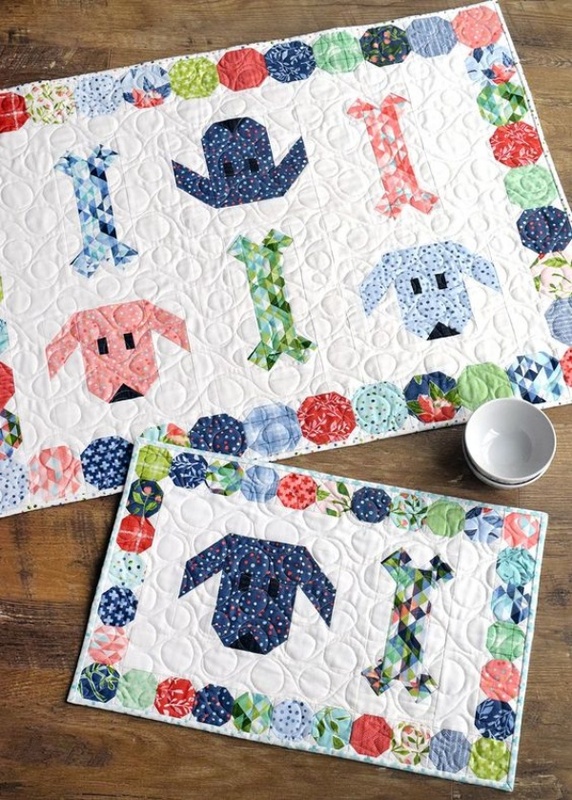 Spread the fabric and lay the mat on the top where you would want the pattern to line up? Use spray adhesive to affix the fabric piece to the rubber mat. Fold the excess fabric underneath.You can get a wide variety of fabric wallets to buy from the market, but when you make it on your own, it becomes more special to you. So here’s an amazing article that will teach you how to make your own beautiful quilted fabric wallet. This is a great item to enhance your home décor. Fabric covered frame mat are stylish and ethnic at the same time. 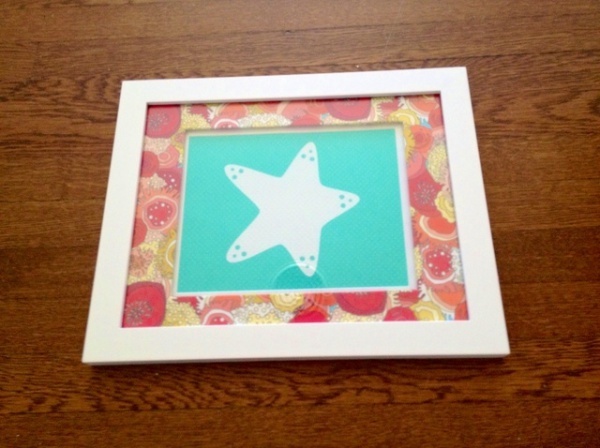 For this, you will only need some frames with mat, fabrics, scissors or pinking shears, utility knife in case of using the double mat and double-sided tape. Another innovative idea to decorate your home is these fabric covered photo mats. Simple and easy to make, it is. The supplies that you will be needing to create this, are a frame with a pre-cut mat, archival spray mount, acid-free double stick tape, a square of fabric two inches larger than the mat, fabric scissors. The end result is definitely going to amaze you. This one is the easy peasy one. You got to have some seven pieces of 5X5 fabric and a hexed ruler. Fold the fabric in half and cut the three sides. Fold and cut the remaining pieces in the same way. 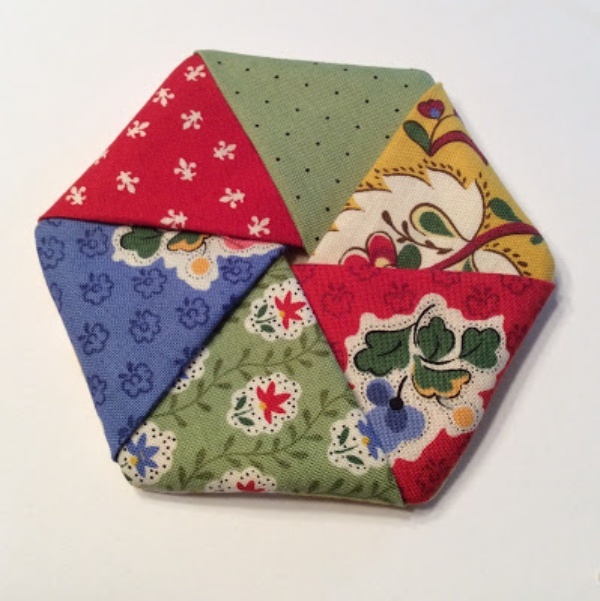 Keep on laying your hexes in the coasters shape. The end product will surely not disappoint you.Here are the steps, which will teach you to make fabric labels by some very easy ways. 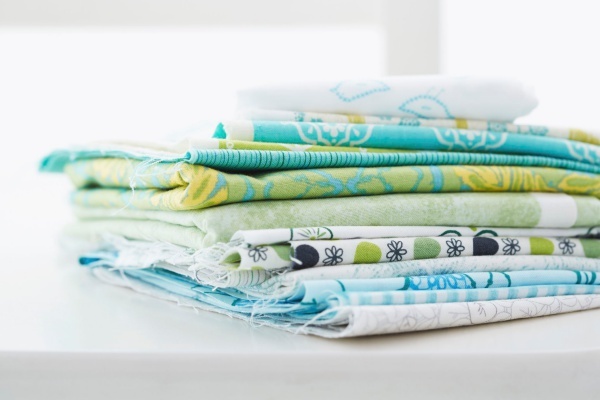 You need to cut seven strips of fabric measuring four inches by eighteen inches. You need to sew all seven strips of fabric together to make one giant rectangle. Iron them once has done. Lay your pieced strips face down on some terry clothes. They are super absorbent. 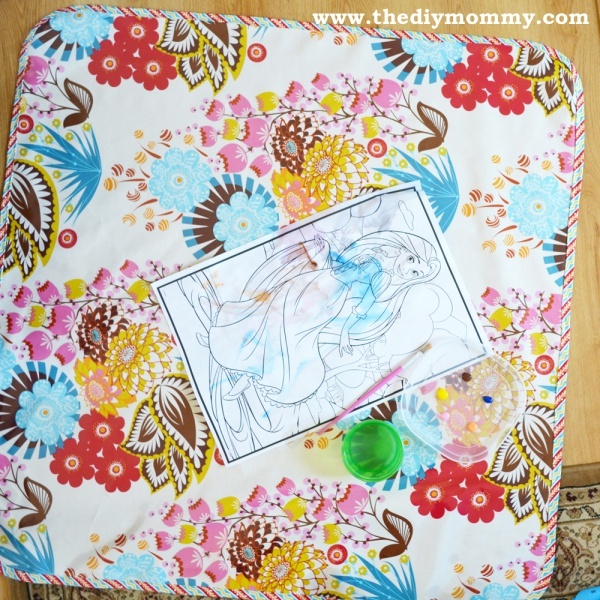 You can get a no-sew messy splat fabric mat with some really easy steps. No matter how many bibs you put on babies, they will always make it messy. So to make a splat mat for them is an absolute necessity. You will need a 1-yard laminated cotton fabric; a 4-yard double folded bias tape, permanent fabric glue, a plastic lid, and Q-tips. Cut a piece of laminated fabric, create corners on your mat maintaining a rounded edge and gently slide the bias tape under the laminated cotton, lining up the center of the bias tape with the edge of the laminated cotton. Gently press the laminated cotton onto the bias tape and smooth it with your finger to eliminate any air bubbles, apply glue to the other side of your folded bias tape, close to the edge of the opposite fold. Repeat the steps. Go ahead and get your hands on the supplies and create some amazing fabric mats for your household and give them an edgy look with these ideas on How To Make Fabric Mats To Enlighten Your Home. Let your peers be the envy of you!